Guys! 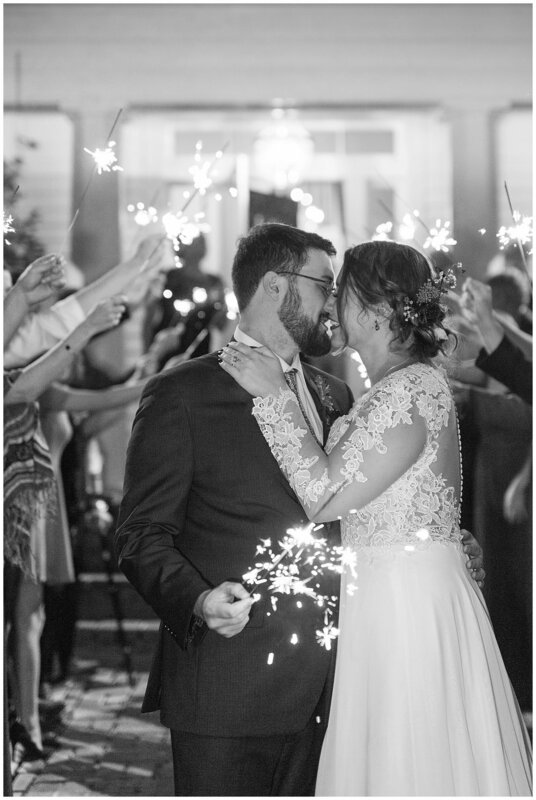 My wedding season for 2017 wrapped up last weekend and OH MY GOODNESS! 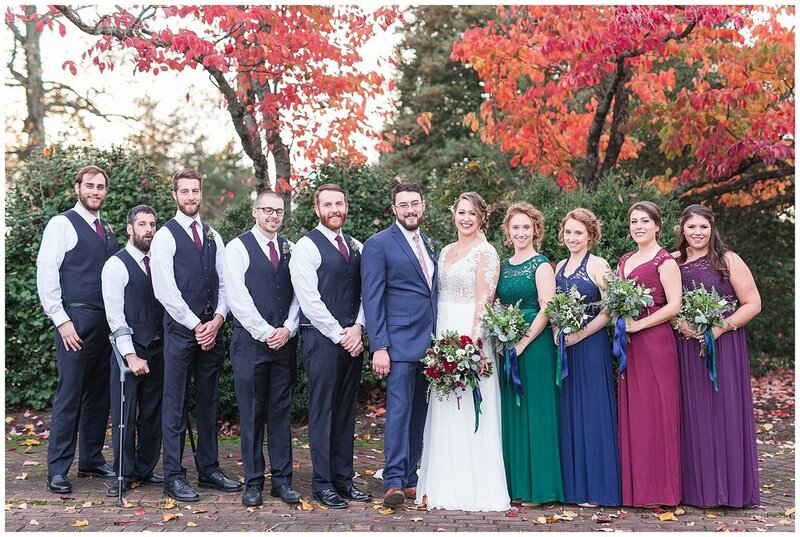 It was a perfect wedding to wrap up my year! 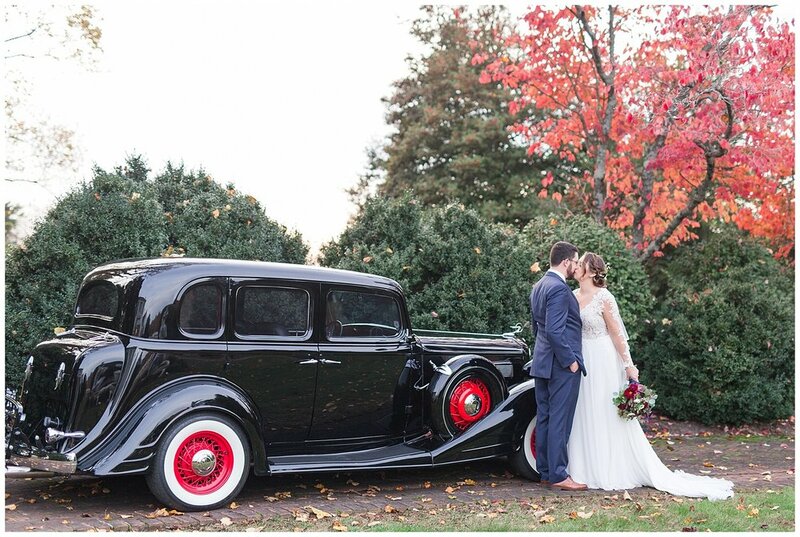 Chelsea & Levi got married overlooking the Blue Ridge Mountains at The Trivium Estate, in Forest, Virginia. 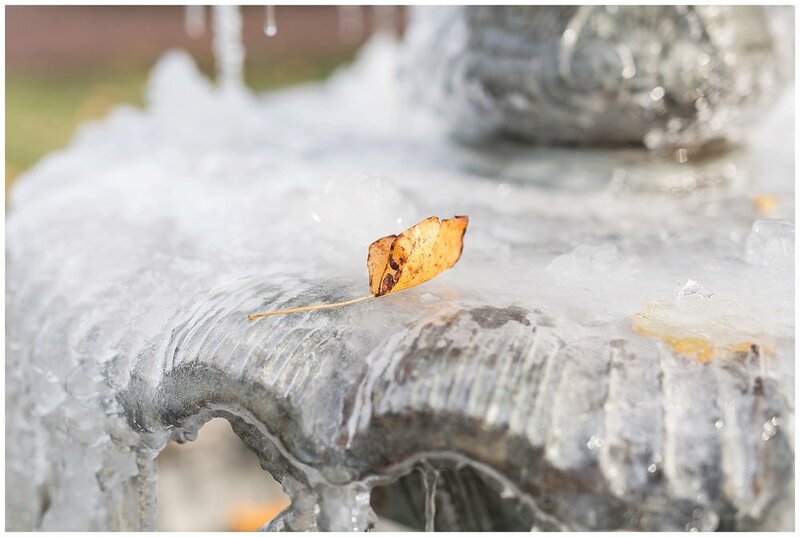 It was a chilly day, but so worth it! The views, the last remaining trees with fall colors- heaven!! 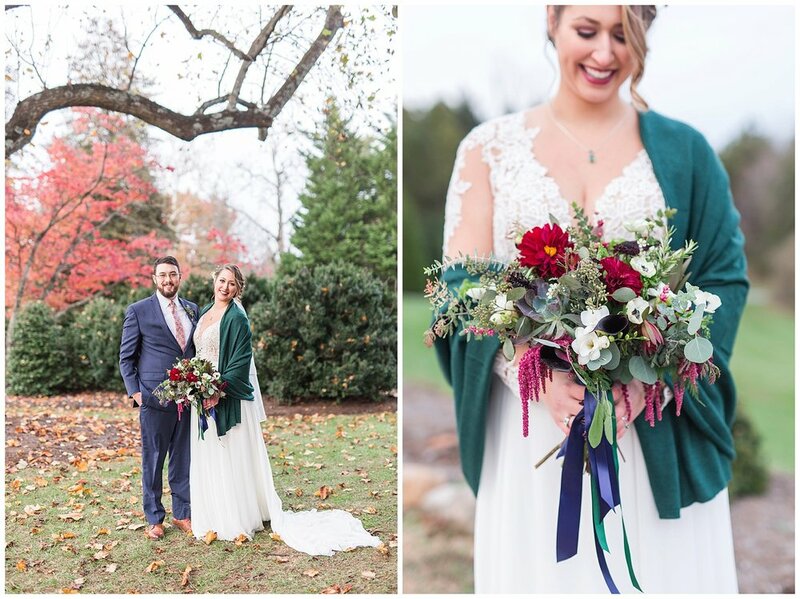 They provided blankets, hot chocolate & cider for their guests while they exchanged vows! 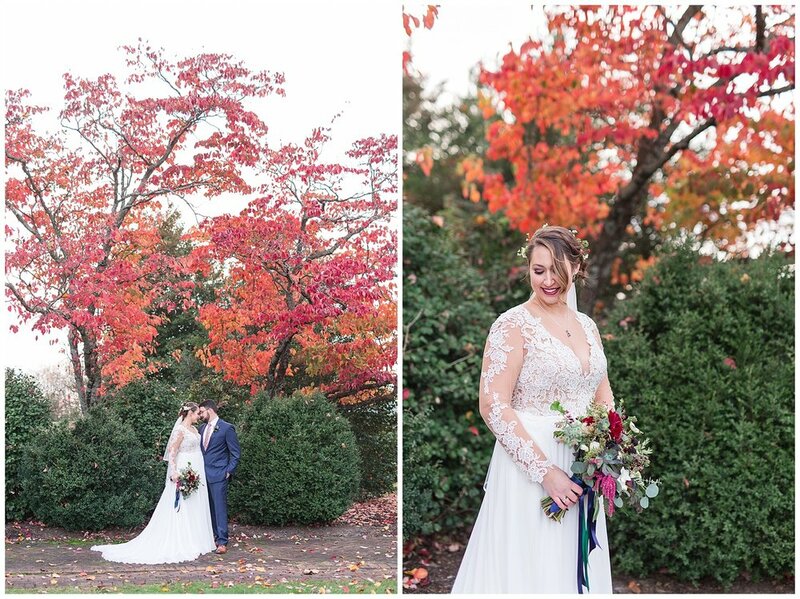 Chelsea & Levi seriously made this wedding 100% theirs! 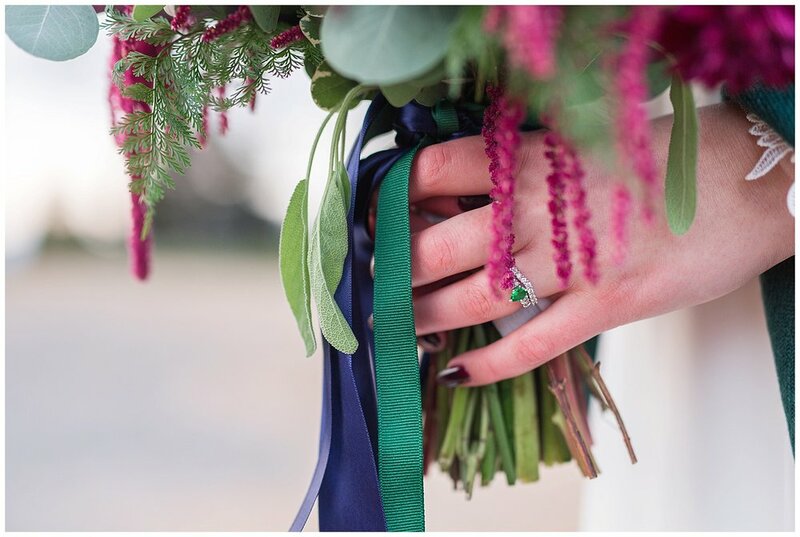 I mean- wait until you see her engagement ring to know that she's not your fully traditional bride, which I loved! 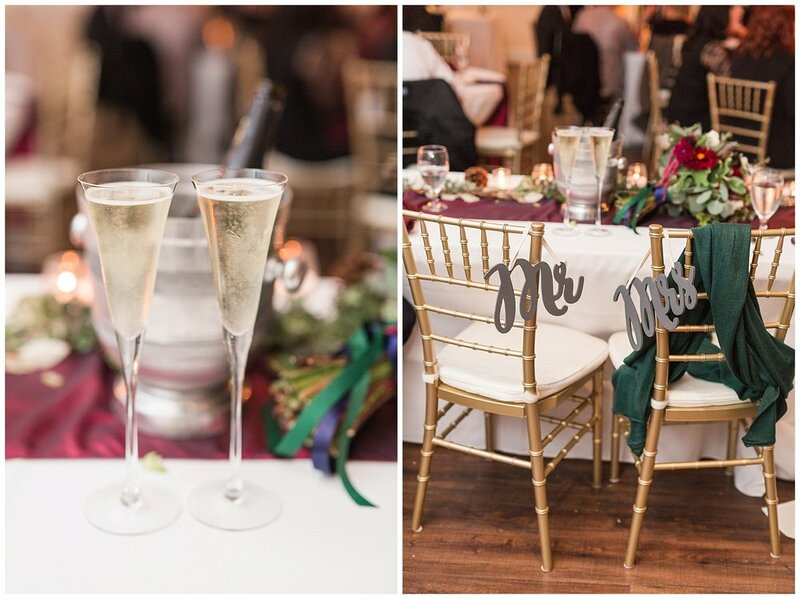 They really personalized things to make it exactly what they wanted for their big day! 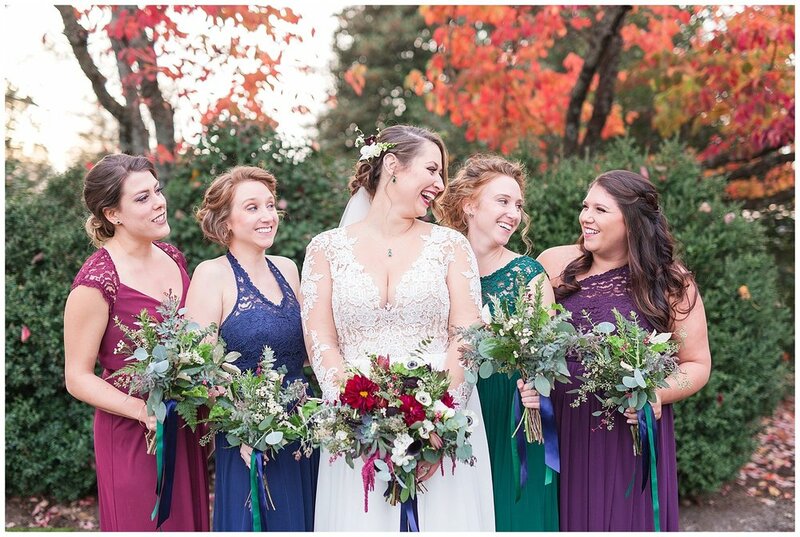 Her bridesmaids all wore different color jewel tones for their dresses, they included their dog Skully in their first look photos, and they even had a cookie table at their reception! 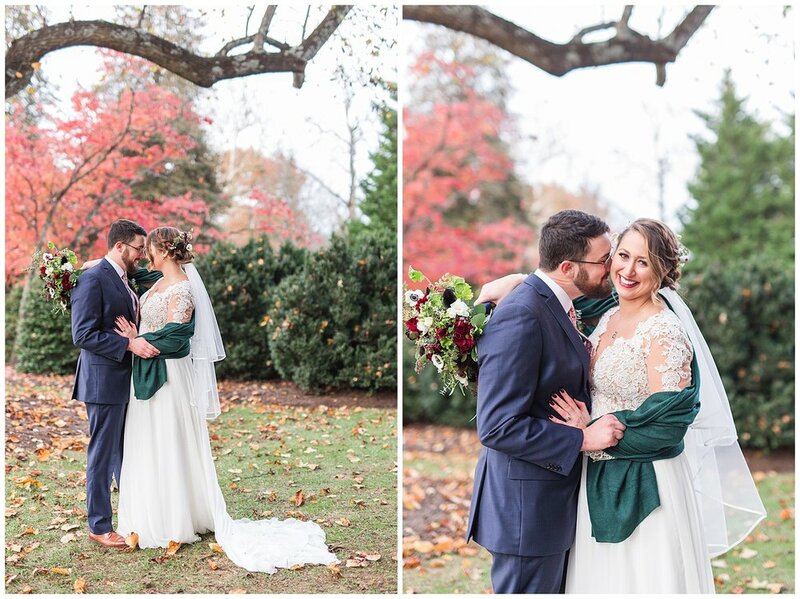 Levi & Chelsea knew photos were a priority for them, and my goodness were they troopers! 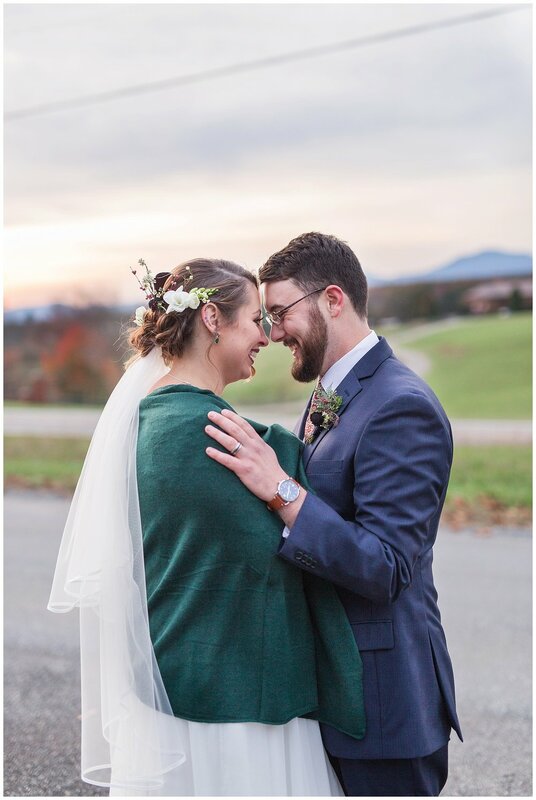 As the sun started to set, the chill really set in, but neither of them complained once! 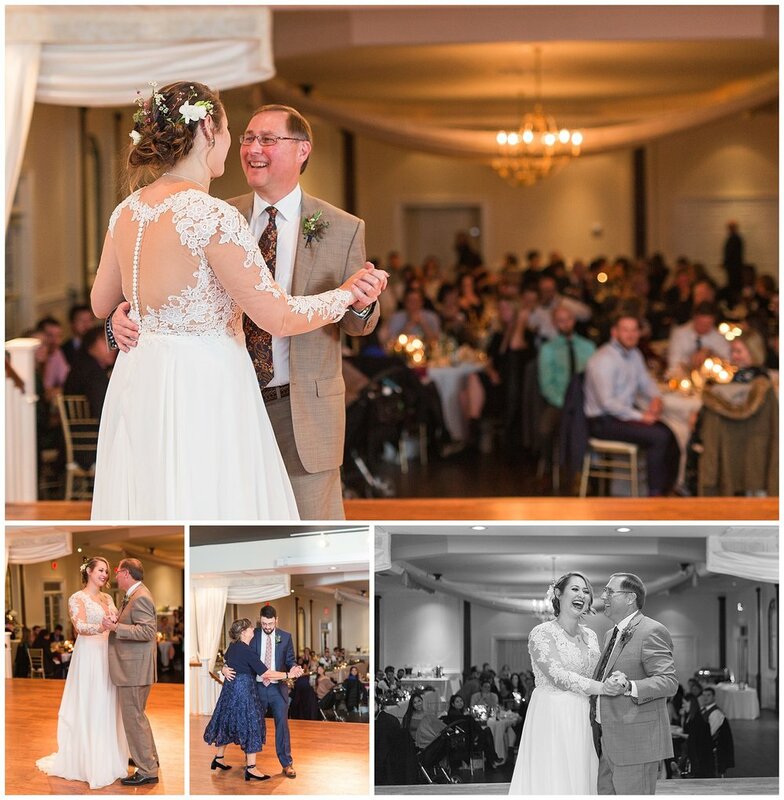 We pretty much couldn't feel our fingers by the end of their portrait time, but we all warmed up quickly inside the gorgeous reception hall where all of their guests were dancing and having a blast! 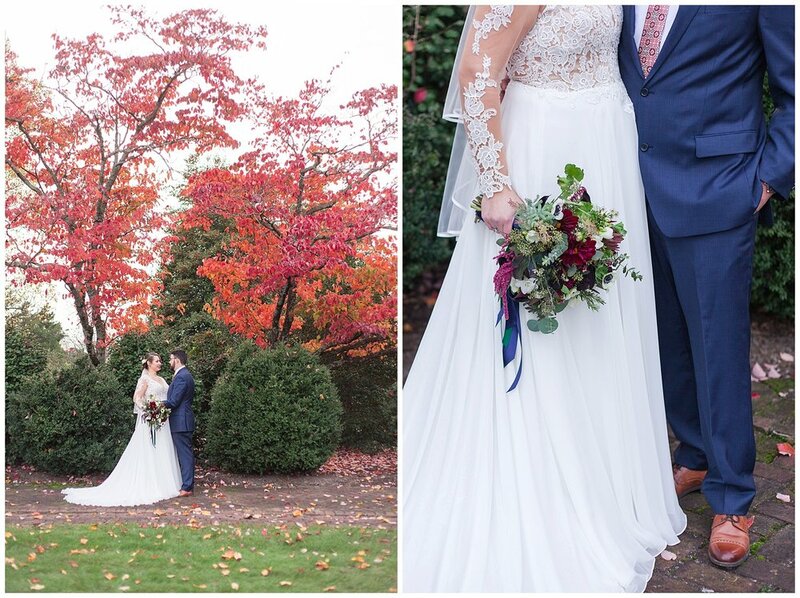 I am so excited to share these gorgeous photos! 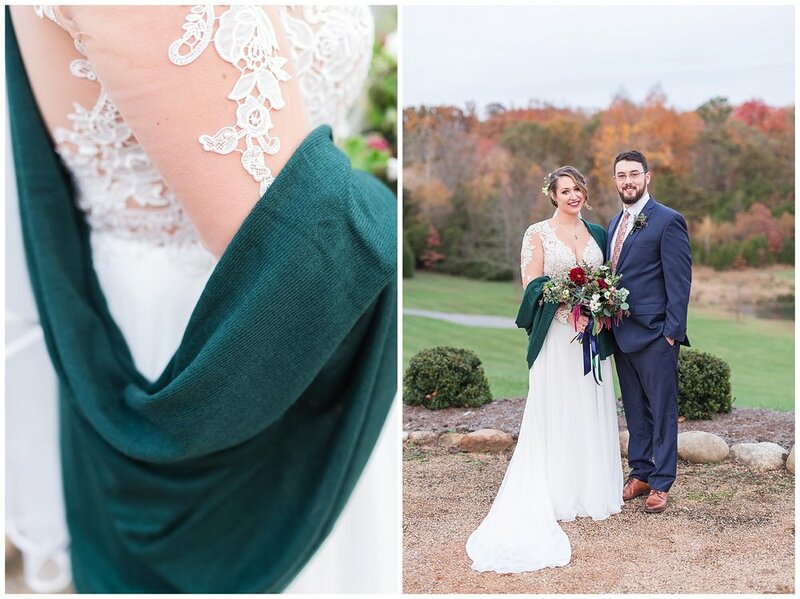 Her details, this dress, and their love for each other made this day such a dream for me! 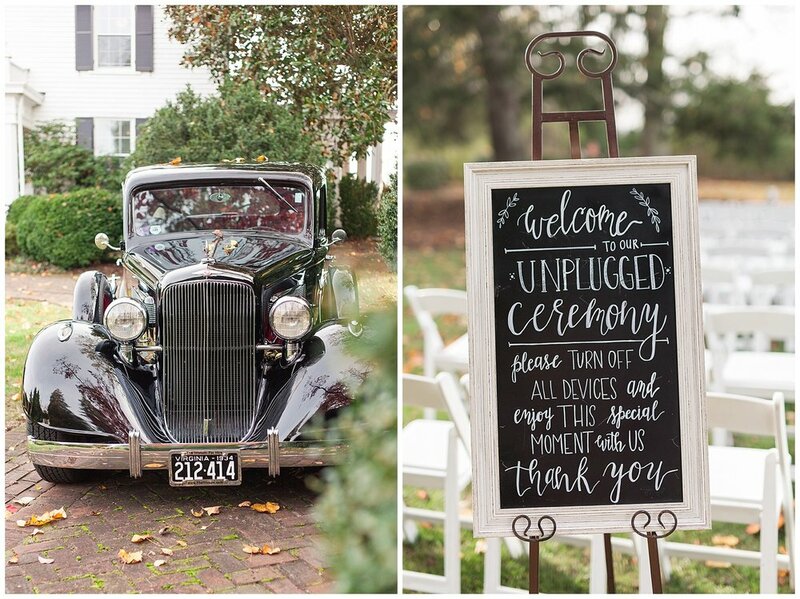 Thank you Levi & Chelsea for choosing me and hand designing the perfect wedding day to wrap up my season!! 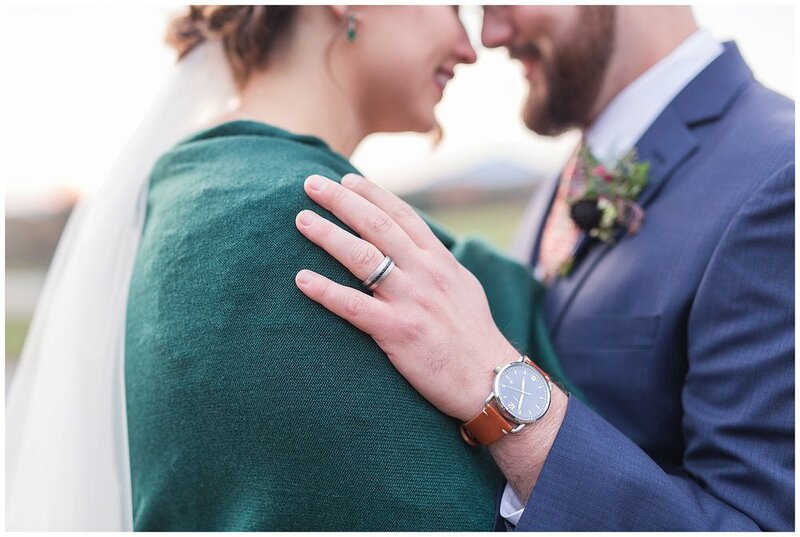 I hope you are having a blast on your winery honeymoon in the mountains! !